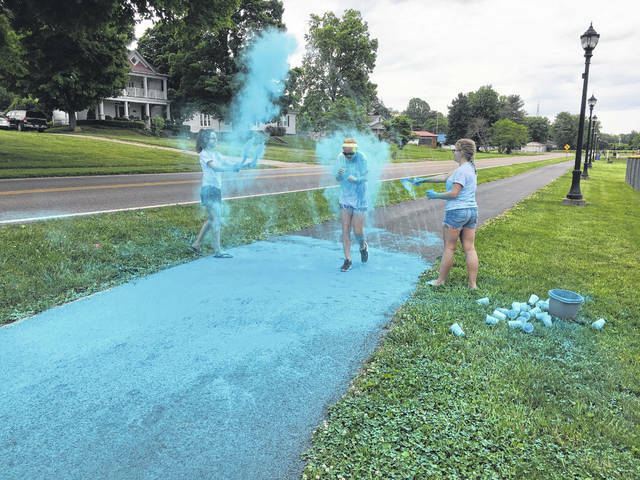 A participant in the 2018 Color Run walks through a blue splash of color. Participants walk through a splash of green. RACINE — The 3rd annual Color Run hosted by the Southern PTO will be held on Saturday, April 20 at Star Mill Park. 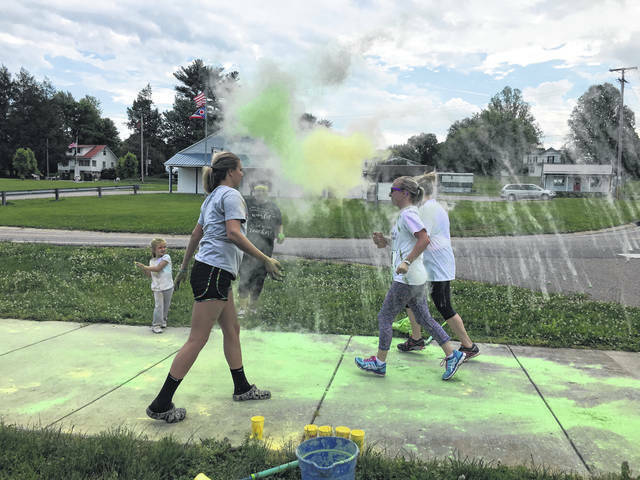 First held in 2017, the Color Run benefits the Southern Elementary Playground. The funds are used to help maintain and expand the playgrounds at the school. More than 50 runners took part in the 2018 event. The race begins at 9 a.m., with registration beginning at 8 a.m. The 5K run/walk will be held rain or shine. Participants should wear light colors or their color run shirt for the race. The colors thrown on the runners are a corn starch based powder with coloring added. There will be four color stations throughout the race course, covering the runners in an array of colors. In place of individual prizes, participants will be entered into door prize drawings. The registration form can be found on the Facebook Southern Local PTO Color Run Facebook event. For more information contact Heather Dailey-Johnson at 740-949-4222 or heather.dailey-johnson@southernlocal.net.